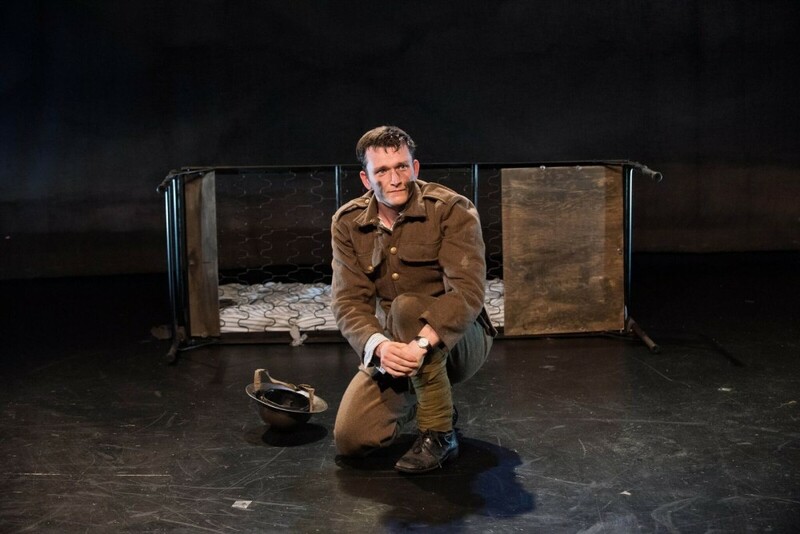 There are few more daunting theatrical challenges than making the familiar seem fresh, which is why one must salute solo performer Shane O’Regan’s ability to keep the audience so attentive throughout most of the 80 minutes of Private Peaceful, now at the TBG Mainstage as part of a worldwide tour. Because, even if you’ve never read the 2003 novel of the same name by Michael Morpurgo (author of the Tony-winning “War Horse”) or seen its 2012 film adaptation, this tale of a young Irish lad who goes off (somewhat foolishly) to World War I contains very little we haven’t heard before. Yet O’Regan’s incredibly committed and strikingly energetic performance almost makes you feel he’s covering completely new ground. 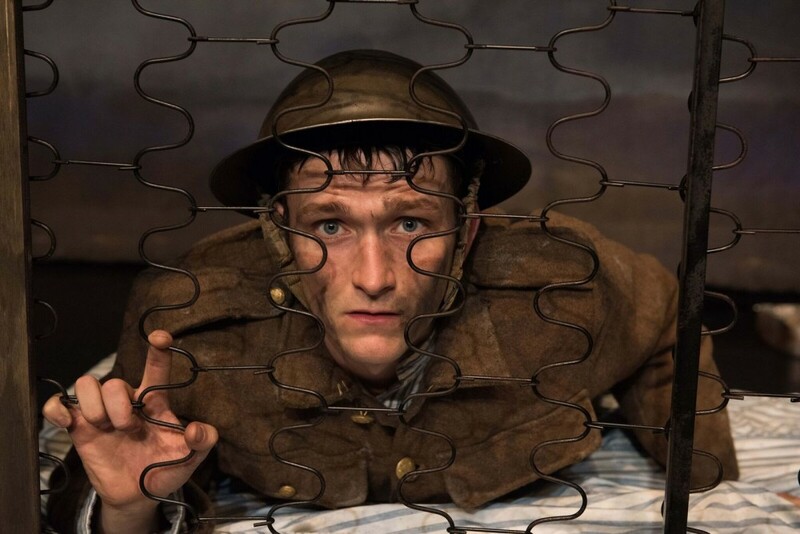 The piece, which has been smartly adapted and snappily directed by Simon Reade, traces the journey of young Tommo (one of over 20 characters embodied by O’Regan) from his elementary school days to the hours before his death during the latter part of World War I. As Tommo sits in his jail awaiting his imminent fate (for reasons that are cleverly withheld until the show is nearly over), he first recounts many of the details of his childhood, including the sudden death of his father and his close relationships with older brother Charlie and classmate Molly (whom both boys love but Charlie marries). While it all sounds authentic enough – from the potato-filled meals to the caning by the strict schoolteacher — this section of the show is not as engrossing as one might wish, and O’Regan isn’t as skilled as other solo practitioners in fully differentiating all the characters from each other. The result is that while one hates to think of the horrors of war as the “good stuff,” it’s very possible you will feel a bit of impatience until the story winds its way to the battlefields. Once we arrive there, however, the story becomes harrowing and heartbreaking as young men, including Tommo and Charlie (who have enlisted as twins despite a three-year age difference), exhibit both fear and courage in the face of disgusting conditions and senseless violence. Here, O’Regan practically transports us to the front lines, with every feeling seemingly emanating from every pore of his body. Physically, he also spans the entire space of the spare TBG black box stage – a seemingly exhausting exercise that makes one wonder how this talented performer manages two shows a day. Still, even if Private Peaceful is a bit of an off-told tale, it’s the story that may stay with you, if only for minutes if not hours or days. Indeed, it’s practically impossible to leave this haunting show with a peaceful, easy feeling. 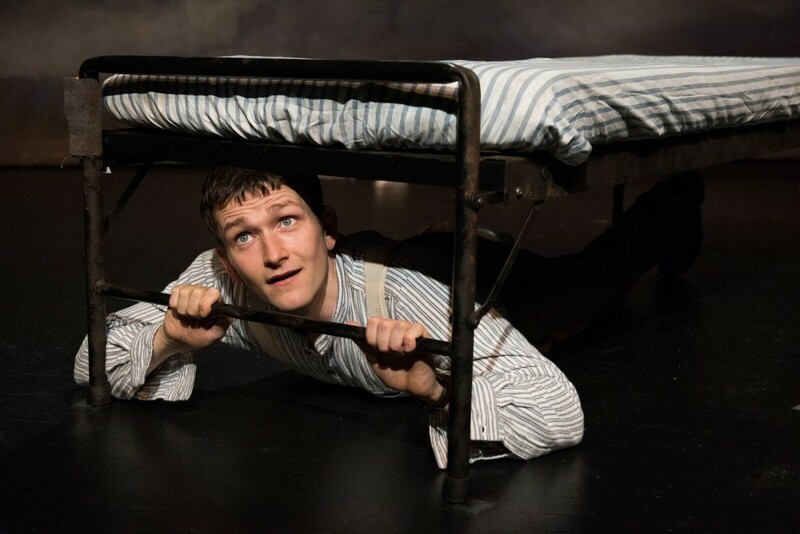 Private Peaceful continues at the TBG Mainstage (312 West 36th Street) through October 7. Visit www.privatepeacefulusa.com for tickets and information.